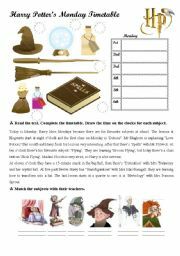 A series of reading-writing activities to revise school subjects and time/hours. 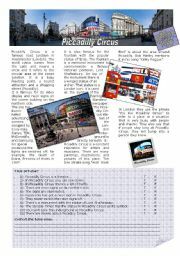 A reading comprehension with activities on Piccadilly Circus. A worksheet to revise the superlative form of adjectives. 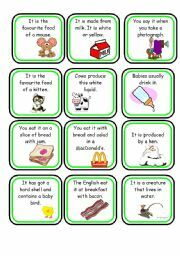 Flashcards to be used for a quiz on food: you can revise vocabulary in a funny way! 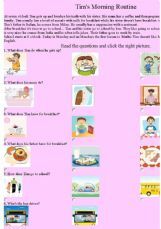 A reading comprehension activity on routines. 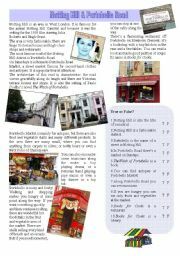 A reading comprehension on Notting Hill and Portobello Road. 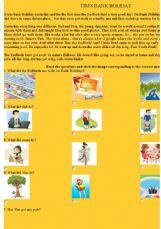 Simple reading and writing activity to revise there is/there are and house vocabulary. 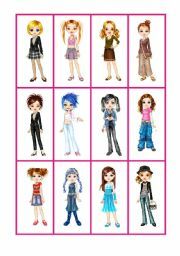 Simple interactive game to revise possessive adjectives. 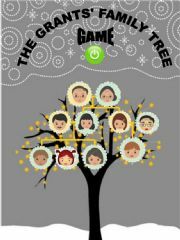 A game to revise the members of a family. Students read text and questions and click on the faces. 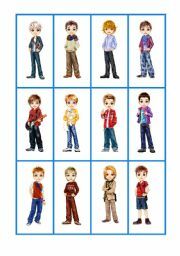 The final slide can be used as a prompt for a written/oral description of the family tree. I created this PowerPoint to revise descriptive skills. First part: students click on the subject corresponding to the description on the blackboard. Second part: students click on the teacher corresponding to the description on the blackboard. 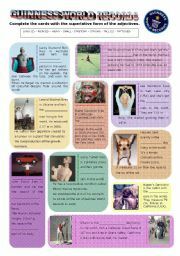 An activity to revise pets description and the verb have got. 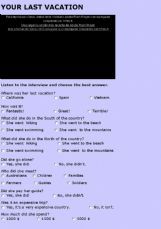 Student find/read the clues and try to answer the questions. 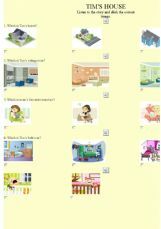 Power Point activity to revise there is/there are and prepositions of place in room descriptions. It could be oral or written. Pupils really like it. It´s been thought as an oral activity to revise routines. You can insert animated images to make it funnier... 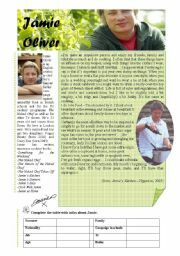 I HAD to eliminate the animated images from the original version because of the size of the presentation!!! 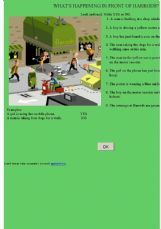 Part 1 of an activity to revise prepositions of place, rooms in a house, and furniture. 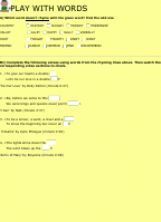 You can also use it for a speaking activity: description of the rooms. Video with comprehension activities: talking about a past holiday. 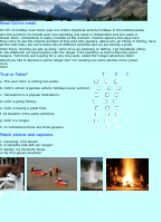 Reading activity with images to discriminate. A Reading Comprehension to revise past simple and holiday vocabulary. 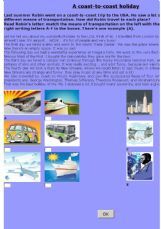 A Reading Comprehension focusing on travel/holidays. To revise means of transportation and past simple. What´s happening in front of Harrods? An exercise modelled on Cambridge FLYERS reading exam. Reading text + True/False activity. Easy game to start learning irregular verbs.